There’s nothing more therapeutic for the avid gardener then shaping and guiding the growth of their trees and shrubs. For everyone else it’s nothing more then a chore that needs to be tackled. So regardless of if you are aiming to get the best possible finish you can, or if you just want to get the job over and done with as quickly and easily as possible, then this is the article for your. 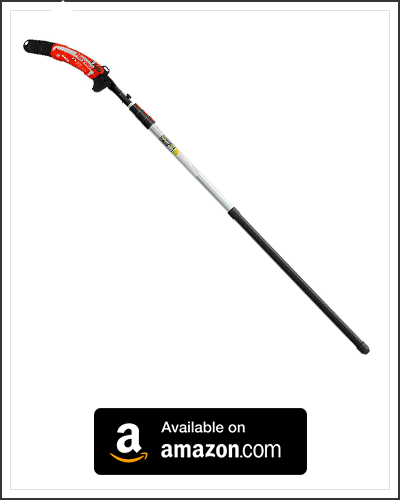 Today we will be going over our top picks for our favorite pole saws and loppers. 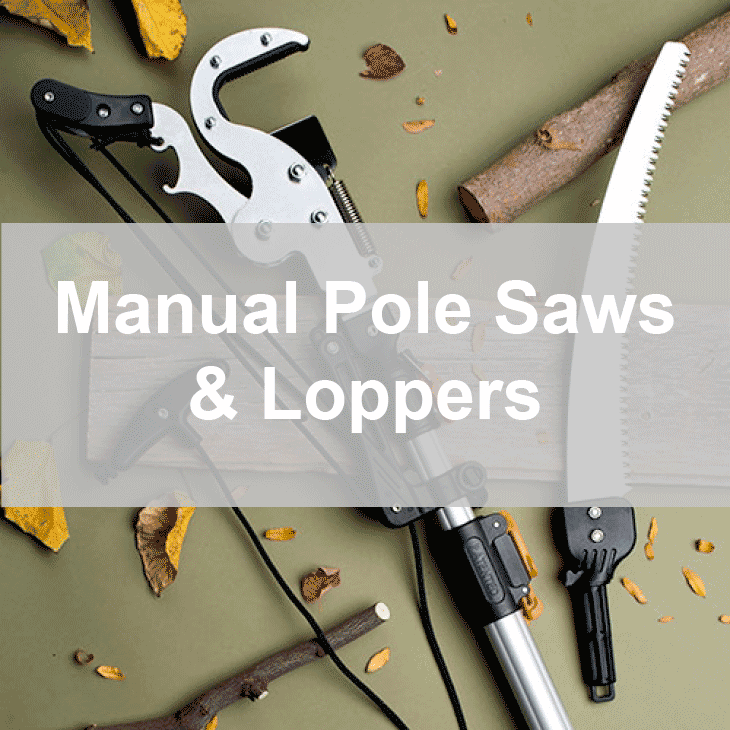 Unlike electric or gas powered pole saws, manual tools make little to no noise, which means no disturbing the local wildlife, or your neighbors. How to Pick the Right Tool? Any skilled arborist worth their salt, will tell you that using the right tool for the right job is very important. Not all trees and plants can be pruned using the same sort of tools, a Palm tree for instance, with its broad fronds, would be better suited for a saw blade than a lopper. The thickness of the branches and the density of the foliage, also needs to be taken into consideration. 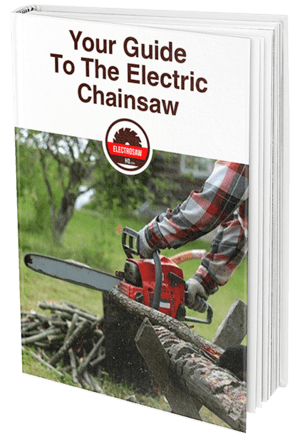 Thin branches could be better cut off with a lopper, and thicker branches need a saw blade. If the foliage is dense, how are you going to remove the cut branches if they get stuck up there? Newly forming bough, can be easily removed with a scraping blade. Do you have one of those as well? There are many tools on the market, some have a single purpose, others are multi-purposed. 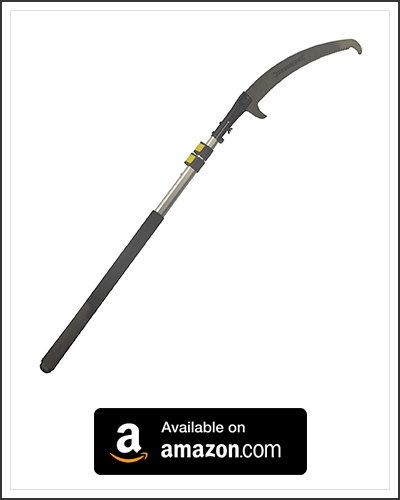 Make sure to choose a pruning tool that will work well on the trees or shrubs that you are looking to prune. These curved saw blades are great for removing thick branches or broad fronds. With the right skills and practice, the branches could be cut off close to the trunk without causing it any damage. Some blades have knifes/blockers at either end to both assist in pulling branches drown from the tree/shrub, and to help keep the branch trapped under the blade as you saw. To use the saw effectively you need to make sure to apply more pressure as you pull the blade towards you, and a little less as you push the blade forward. This is important to help avoid jamming up the blade, or to cause the branch to overly sway and vibrate. This can also help to keep the teeth sharper for longer, and avoids breaking or bending the teeth as well. For thicker branches start by cutting the underside of the branch first. Not too far in, just deep enough for the teeth to be concealed. Not only will this makes it easier to cut through the branch, it also allows the branch to be cut off more cleanly. Keep the blade covered when not in use. Periodically use solvents to clean tree sap off of the blade. Here are a few of the top manual pole saws. These are perfect for any skill level of gardening. 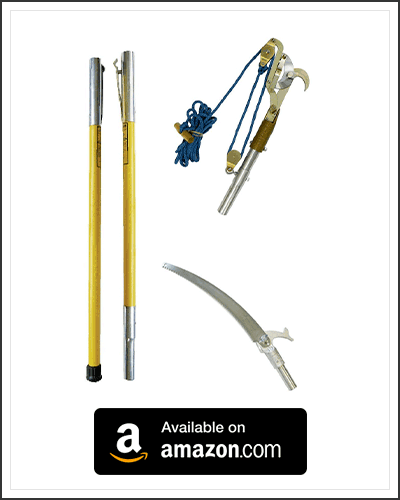 For those times when you have different types of trees and shrubs that need to be pruned, you could either have two separate tools for the job, or, one tool that can do it all. There are two types of multi-functional saw/loppers. The first type is simply a pole with interchangeable heads. By swapping out the heads, you can switch between cutting branches with a saw, or snipping them with the lopper. The other type, is a pole that has both a saw and a lopper attached to the same end. The saw blade may face one way, while the lopper faces the other way, or the lopper could be positioned below the blade. This makes it easy to switch between the two, but it can make the head a little larger then normal, and more cumbersome to use. Multi-functional pole saws tend to be a little top heavy as well, making precision cutting more difficult to do and cutting close to the trunk could cause abrasion damage. Use the same undercutting method as the standard pole saws, for thick branches. 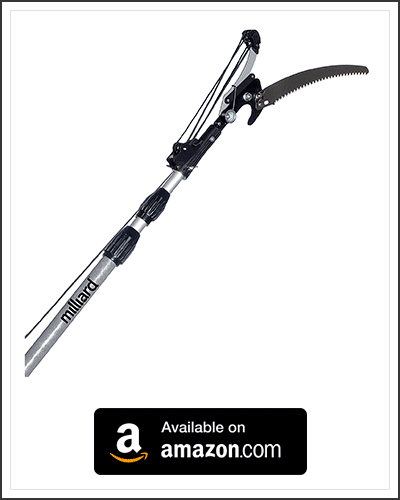 The loppers are designed to cut thinner branches that are up to 1-2 inches thick. Check with the manufacture for the maximum thickness. Remove the blade cover from the saw before use. Even if you only intend on using the lopper, the cover may still get damaged up in the tree. Keep the pulley rope tight, and away from the saw blade. If the rope got caught on the branch you intend to cut, you could accidentally cut through or severely damage the rope in the process. Make sure to keep your hing mechanism well oiled and free of debris. This will help to keep the hing in good working condition, reducing the amount of force required to close the loppers mouth. And finally, a sharp well kept blade is a good blade. The sharper the blade, the easier it will be for the saw/lopper to cut through branches like butter. Keeping on top of your pruning is key to avoid having to use a saw blade to remove overgrown branches. By removing new growth while it is young, or the thin branches that may have grown since the last pruning, you are able to prevent the branches from getting too thick and overgrown. Pruning the smaller newer branches that are growing down lower on the tree, can encourage more growth at the top of most trees, giving you a thicker canopy in time. A lopper can make quick work of thin branches, but they will never be able to cut as close to the truck as a pole saw can. The biggest disadvantage a saw blade has over a lopper, is that the back and forth motion can, and often does cause unwanted damage to near by branches in a thick cluster. 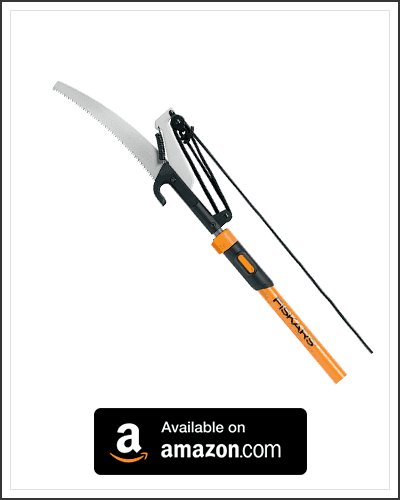 The lopper on the other hand can be attached to the desired branch, avoiding any unnecessary damage to the other branches.